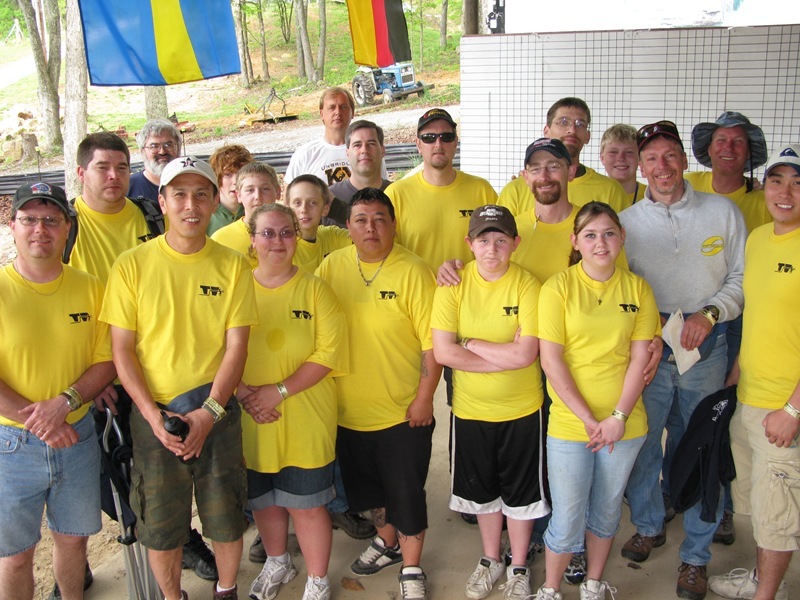 Trials, Inc., “the premier trials club of the central USA,” fielded observers for 4 sections each day. They even had their own club banner strung up at each section. Right photo: Trials Inc. 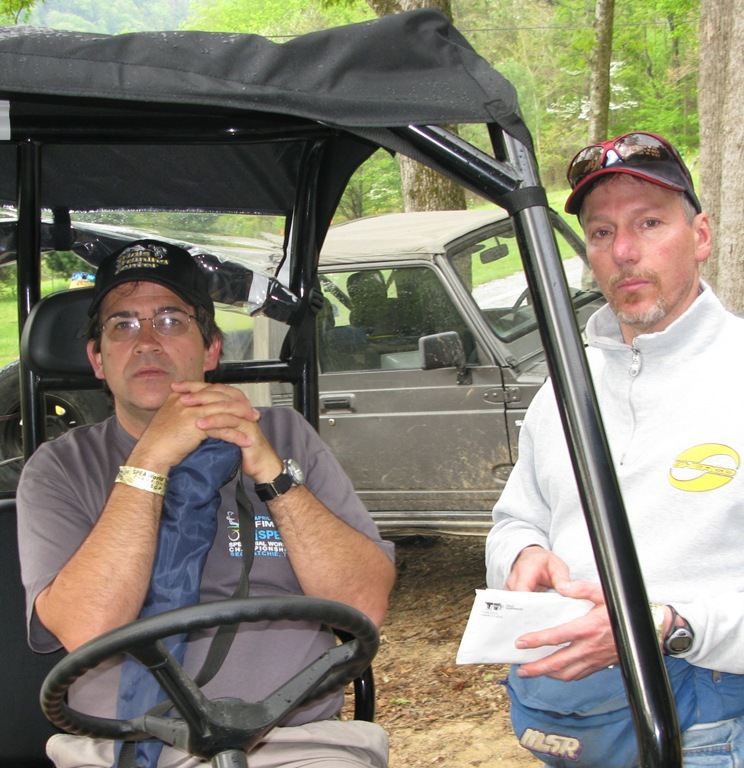 Section captain Jim Zuroske (right) with Paul Thistle (Blue Ridge Yamaha & Polaris) who ran the shuttle service.